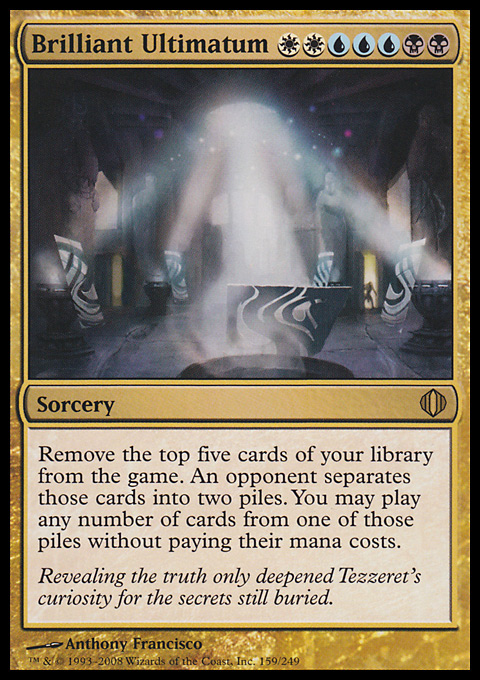 Revealing the truth only deepened Tezzeret's curiosity for the secrets still buried. Choose five permanents you control. 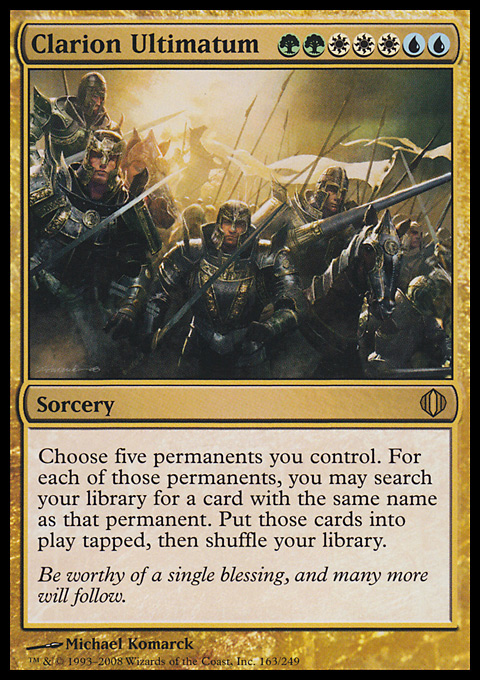 For each of those permanents, you may search your library for a card with the same name as that permanent. Put those cards onto the battlefield tapped, then shuffle your library. Be worthy of a single blessing, and many more will follow. Target opponent sacrifices a creature, discards three cards, then loses 5 life. 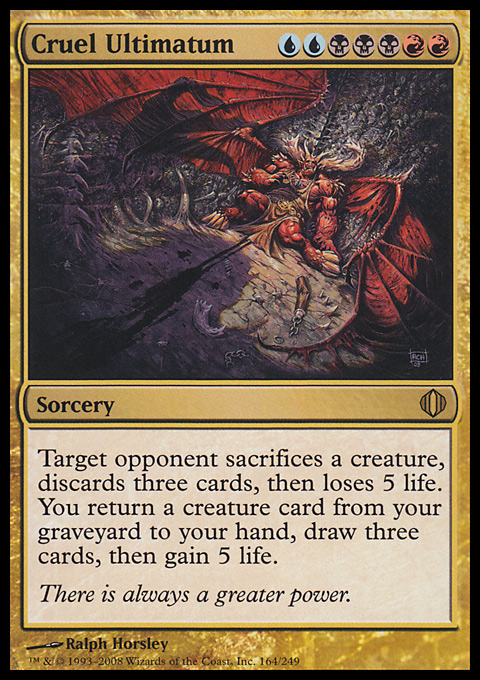 You return a creature card from your graveyard to your hand, draw three cards, then gain 5 life. There is always a greater power. 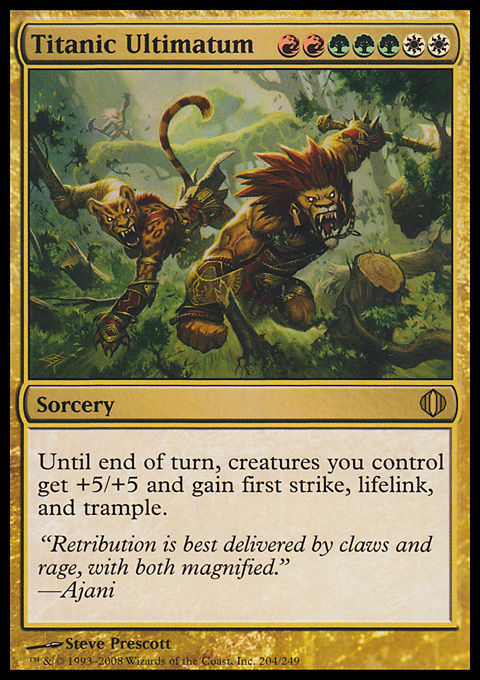 Until end of turn, creatures you control get +5/+5 and gain first strike, trample, and lifelink. "Retribution is best delivered by claws and rage, with both magnified." "Words are a waste of time. 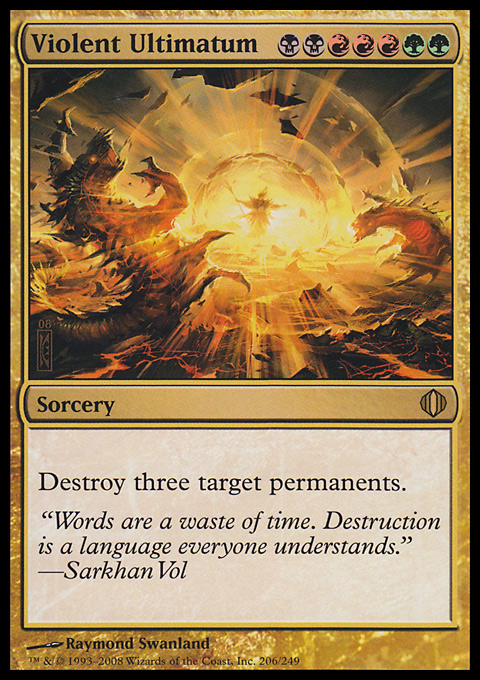 Destruction is a language everyone understands."